Turn, O LORD! How long? Have compassion on your servants! Satisfy us in the morning with your steadfast love, so that we may rejoice and be glad all our days. Make us glad as many days as you have afflicted us, and as many years as we have seen evil. * O woe this night! Jesus had us prepare for our passover feast together, and so we found this room and had it set aside for us to be together and to celebrate the night the angel of death passed over Egypt. Little did I know that death would be passing over us. At the table, Jesus began to act very cryptically. He took his robe off and tied it around his waist like a common servant. Then he proceeded to wash everyone’s feet. I tried to protest it, but he wouldn’t let me. He told me that if I didn’t allow him to I would have no share with him in the Kingdom of Heaven! Can you imagine it. So I relented and allowed him to wash me. Finally, he took the unleavened bread and the wine, blessed them both, and said that they were his body and his blood, broken and poured out for the a new covenant. He said that he was going to die and that we could not follow him, that one of us would betray him and that I would deny him three times! I just couldn’t believe it. 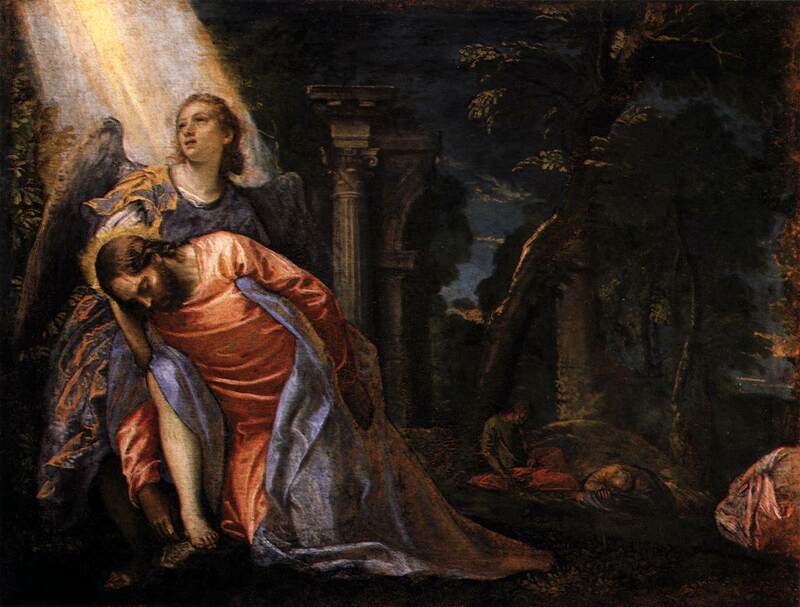 Following the meal we went to the garden of Gethsemane and Jesus asked us to stay up with him and pray. But we were so exhausted that we fell asleep. Jesus woke us up a couple of times but we could not stay awake. But then we heard the soldiers marching toward us and the night was lit up by their torches! They came and arrested Jesus, binding him up like a common criminal! I tried to stop them, but Jesus told me to put away my sword. He said that “Those who live by the sword, shall die by the sword.” And with that they took him! I am so confused, so lost, so fearful for what lies ahead. 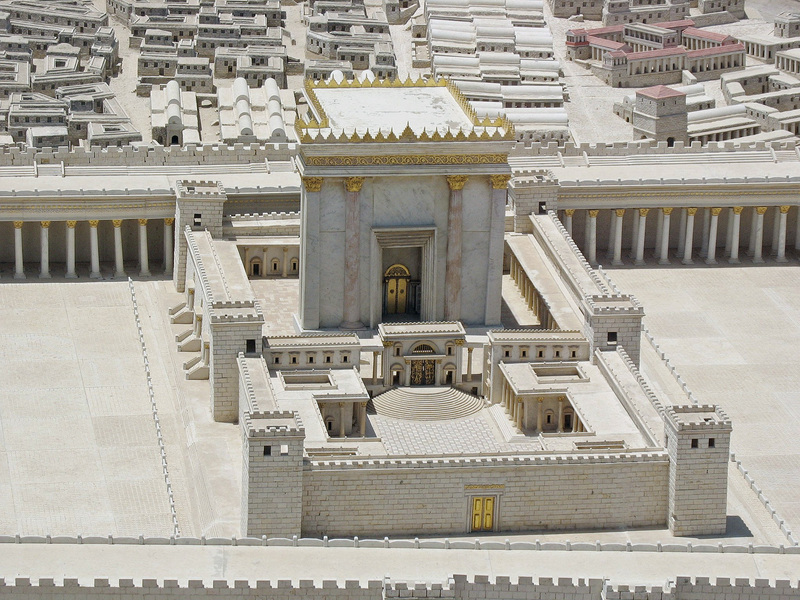 I am going to the house of the high priest now. I am afraid that people might arrest me, but I just have to go and to find out what happens to our teacher, to my Lord. I just have to know. God help me in this hour of bitter darkness! This night, nearly 2,000 years ago, Jesus was betrayed by one of his disciples, and arrested like a common criminal. He was taken away in the dark of night, and brought to the house of the high priest. Jesus of Nazareth was to be abandoned by all of his disciples, condemned a blasphemer and was to be handed over to the Romans to be tried for committing treason against the empire. Even Peter, the rock on which the church would be built, was afraid he would be arrested and denied knowing Jesus. Like Peter, we all have done our share of denying Jesus. Like Judas, we all have had our share of betraying Jesus. In fact, when we live in a way counter to how Jesus calls us to live, we are betraying and denying the very same Christ who lives within us. But this reflection is not being written to guilt you; rather, it is written to bring you great hope. There is hope in knowing that Jesus shared last supper with the very ones who would betray, deny and abandon him. Even in those painful hours, Jesus extended Grace, Love and Compassion to those who would not extend it back to him. Jesus NEVER stops extending his hope, healing, and wholeness to us. And that is truly Good News. So, spend this moment now to pause and reflect on the ways that you have betrayed, denied and abandoned Christ and his mission. Take this moment to peer into your soul and search for those moments of fear, confusion and shame. Then shift your focus to the countless blessings, the endless grace God has given you despite those moments. Think of all the times God was present in your life, even in the moments of denial and betrayal. Feel God’s presence with you now and meditate of the endless love God has for you. Take this time to pray a prayer from your heart. Today I did something that I am not sure I should have done. I have been following Jesus for three long years, waiting for the time when he would step up and become the Messiah we are so longing for! With all of the miracles and signs, I just knew that this man must be the one God is sending to liberate our people from the foreign oppressors. But I fear that these past three years have been in vain. On Sunday, Jesus rode into Jerusalem and there was such a crowd! He could have easily inspired that crowd to rise up against the Romans! And who would stop this man who can control the winds and the seas? Who would be able to stop this man who can raise the dead to life and cause the paralyzed to walk again! Surely, Jesus has the power to crush Rome at the snap of his fingers, but instead he does nothing by causes division among our leaders and teaches about his coming death. I fear that I have been mistaken these past few years. Today I went to the chief priests and spoke with them. They told me that this Jesus was dangerous and that he needed to be dealt with before Rome crushed us all. 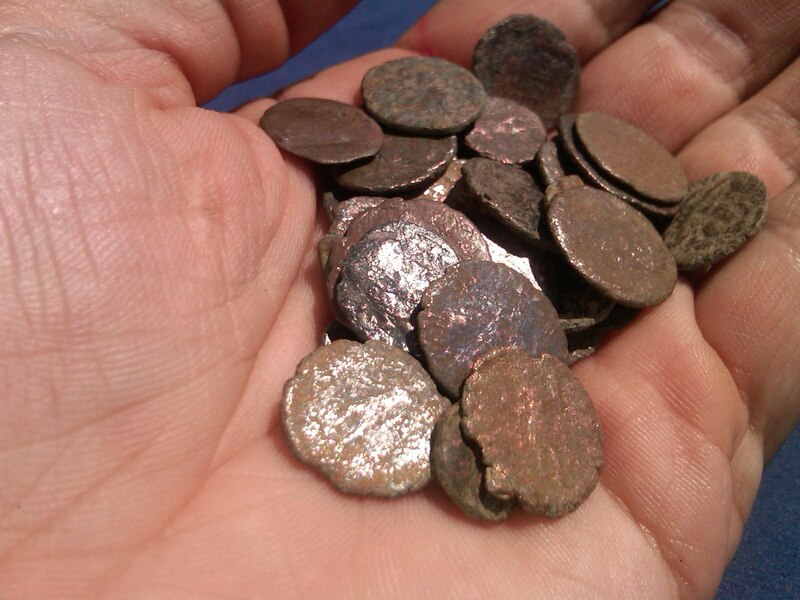 They said that all Jesus would offer me is Roman punishment and death; however, they said that if I brought them to Jesus, they would give me thirty pieces of silver. Though I am still uncertain as to whether I should or not, I agreed to lead them to Jesus tomorrow night. At least they are offering me something tangible. How long have you traveled with Jesus? How long have you listened to him and learned from his teachings? Are you sure you know him as well as you think you do? Are you sure that you understand all that he has been teaching you? Hear the Good News: in whatever ways you have betrayed Jesus, he as forgiven you! Now, move on from the past and allow God to transform you. Embrace Jesus mission of hope, healing and wholeness (Luke 4:18-19) and go forth into the world bearing it! Lord, Create in me a clean heart and renew a righteous spirit within me. Use me in a way that bears hope, healing and wholeness to those around me who need it. Amen. Wow, and I thought yesterday was tense! I was shaking from head to toe when Jesus started to overturn those tables and was shouting like a madman! Part of me was scared that the Romans, perched in towers overlooking the Temple complex, would descend on us and crush us right then and right there. The other part of me was excited because Jesus was finally showing the zeal that we have been taught that the Messiah would have. I began to wonder if, perhaps Jesus was this Messiah…cleansing the House of God before purging Israel of her enemies. You could just feel the tension in the air. The religious leaders looked beyond mad. If looks could kill…well you know how the phrase goes. Then, Jesus questioned their knowledge of the very scriptures they are well versed in. He asked them, “Have you never read in the scriptures: ‘The stone that the builders rejected has become the cornerstone; this was the Lord’s doing, and it is amazing in our eyes’?” I got the real sense that he was referring to himself! Was he saying that he was going to be rejected and die? How could he be the Messiah and die? How was that even possible if the Messiah was supposed to free Israel from oppression? Why would this “Messiah” curse our religious leaders? Wouldn’t the Messiah focus his energy on Rome? What are your expectations of Jesus? Who is Jesus to you? Do you find that your “Jesus” falls in line with what you think he should be? When you hear or read Jesus’ words of chastisement, who do you envision Jesus talking to? Is he talking about “them”, or is he talking about “us”? Is he talking about “you” or is he talking about “me”? Lord, humble me and become the cornerstone of my faith. Let me drop my religion and pick up your love, compassion and mercy in its stead. Amen. Yet, it is only a day later and this same “messiah” does something beyond what any of us could have predicted. He enters into our sacred Temple and starts ranting and raving. He screams, “You have heard it said that, ‘My house shall be a house of prayer, but you have turned it into a den of thieves!” Can he really mean it?!? He is supposed to protect us against our enemies! He is supposed to overthrow the ones who are threatening us! He isn’t supposed to come into our very Temple and attack us! How dare he! 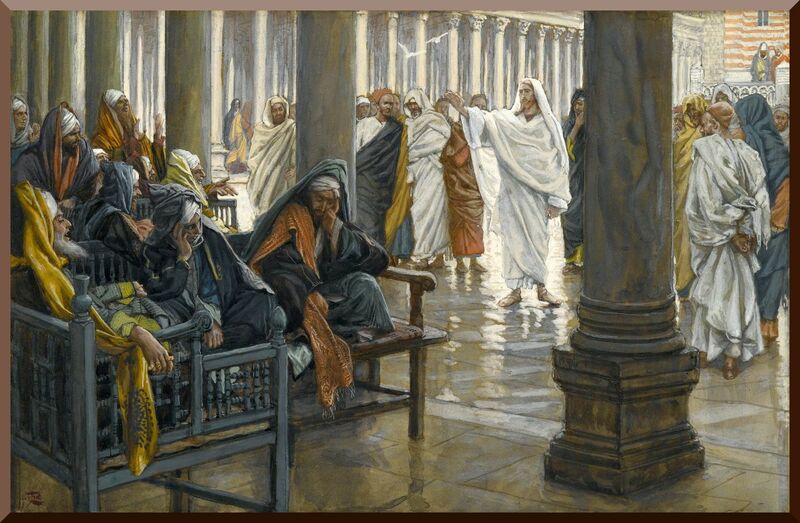 Then this Jesus starts violently overturning the tables of the bankers in the Temple market. Money is flying everywhere and he opens up the animal pens and lets them loose. It is utter chaos. This way man is going too far! Someone needs to stop him before he brings ruin upon us all. Doesn’t he know that there are certain rules that need to be followed? Doesn’t he realize that we do things a certain way here, that we are not the ones who need cleansing! What in your life is sacred? What do you cherish the most? What is it that you cling to and refuse to let go of? What is your sacred Temple? Do these things stand in your way of God? Are these sacred things holy because you have deemed them so, or because God has called you to them? Just as Jesus entered the Holy Temple in Jerusalem and cleansed it of the things that were distracting it from it’s true purpose, so too Jesus is entering into your life and driving out those things that distract you from serving your true purpose. What is that purpose? To be a living Temple of the living God, to be the house of the living God, to be the bearer of the presence of the Living God to all of those who are around you. This Holy Monday, recognize that God is calling you to cleanse your Temple so that it may be filled with the hope, the healing, and the wholeness that God is calling you to bring to others. Anything that gets in the way of that purpose has got to go. Lord, drive out the impurities that keep me from being your true, and living Temple. Amen. Here we are mid-Advent, fast approaching Christmas. Can you believe how quick Christmas has come this year? It feels like just yesterday I was sitting down at Disney’s Hilton Head Island Resort enjoying a nice summer vacation (and what summer vacation beats a Disney Vacation?). Yet, here we are nearing mid-December with the countdown to Christmas fast underway. 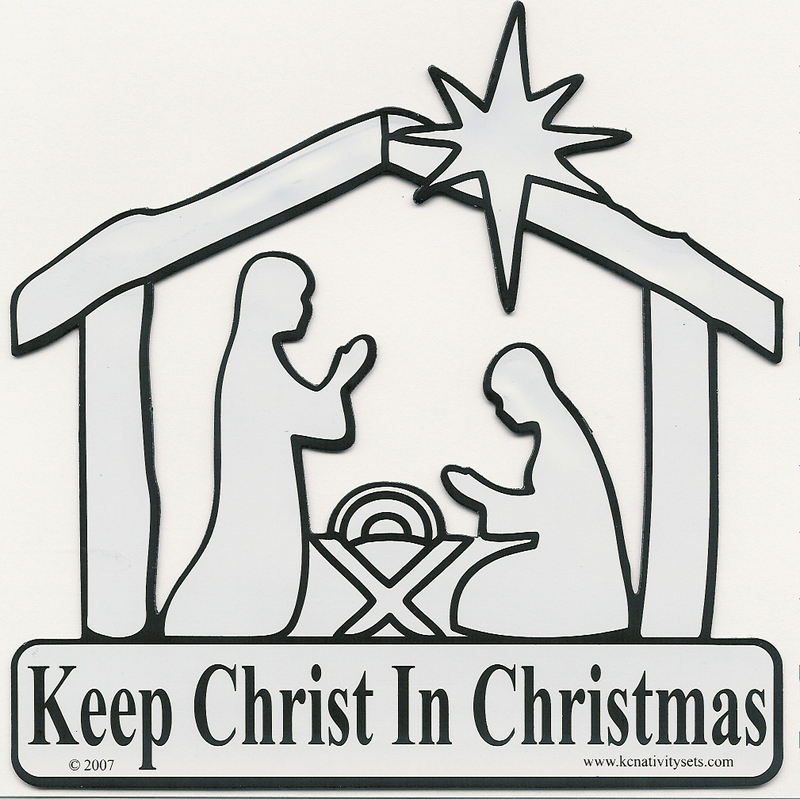 Speaking of Christmas, have you ever seen the bumper sticker or the little magnet that reads, “Keep CHRIST in Christmas.” That is a phrase that gets passed around quite a bit during this season. But what does keeping CHRIST in Christmas mean? Does it mean keeping the not-so-Christian tradition of Christmas trees and yule logs? Does it mean keeping the tradition of Santa Claus, Elves and his nine (counting Rudolph) reindeer? Does it mean, racing out to the store to funnel our money into big business in order to acquire an excess amount of gifts and Christmas-time deals? Most Christians would probably say no to all of these things. So let me narrow the question even more. Does keeping CHRIST in Christmas mean watching movies about the Nativity story? Does it mean going to church once out of the year on Christmas Eve? Does it mean singing carols about the Jesus’ birth? Does it mean Christmas pageants and concerts? Does keeping CHRIST in Christmas mean spending time with family and giving gifts to our already abundantly blessed children? The truth is that I do AGREE that we should be keeping CHRIST in Christmas; however, to do that we have to be open to the change that God wants to spark in us. If we are to truly anticipate the coming of Christ, and if we are to truly welcome Christ into our lives, we must first realize that ADVENT and CHRISTMAS are not a once-a-year type event; rather, every day we live is an opportunity to experience ADVENT. Christ would much rather us keep him in our lives than in a holiday set aside for observance once a year! But in order to do that we must live into the life that Christ led. We must be willing to give everything up, to pick up our crosses and follow Jesus (Matthew 16:24; Luke 14:27-35). We must be willing to serve the poor, the sick, the imprisoned, the disabled, the outcasts, the marginalized and all of those who our society looks down upon (Matthew 25:31-46). In fact, we are to become, according to Jesus, the SERVANTS of ALL (Mark 9:35)! So, according to the standards set by Jesus himself, how do we keep CHRIST in Christmas? Clearly, buying presents, singing carols, drinking wassail, roasting chestnuts, buying presents and erecting Christmas trees is not what Jesus had in mind. While those things are nice, the reality is they are not at the heart of who CHRIST is or what CHRIST has called us toward. According to the standards set by Jesus, we keep CHRIST in CHRISTMAS by following in his footsteps…not once a year…but every day of our lives for the rest of our lives, until we go on to glory in Christ Jesus our Lord! Amen! So, starting this Christmas season, and everyday from this point forward, begin to work toward keeping CHRIST in Christmas. Don’t just say the words, as if they are just another meaningless cliché; rather, live into those words by being all that GOD is calling you to be. Love God, by loving your neighbors. Invest yourself in the lives of others. Be present for those in need. Bring God’s gift of hope, healing and wholeness to this broken world and desperate world. Then, and only then, will you be truly keeping CHRIST in Christmas! Lord, guide me toward keeping YOU, not only in Christmas, but in my heart. Transform me into your vessel of hope, healing and wholeness. Amen. Yet, as bold as I was in my faith when I was young, things were about to change. Without getting into all of the details, which could fill up a book I am sure, I began to become a person who was filled with fear. For one, I had several close family members pass away and that caused me to fear what happens beyond this life. 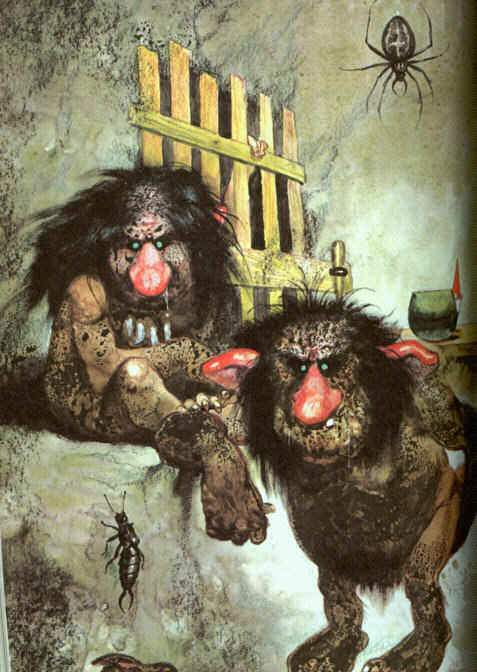 I never quite fit in at school and I feared not being accepted by my classmates. I never seemed to quite do as well as I wanted to in school and I began to fear the possibility of failure. There were many different varieties of fear that crept into me as I grew from boy to teenager to man. In the end, those fears put me on a decade long detour that took me far away from answering my call before I found my way back to it. 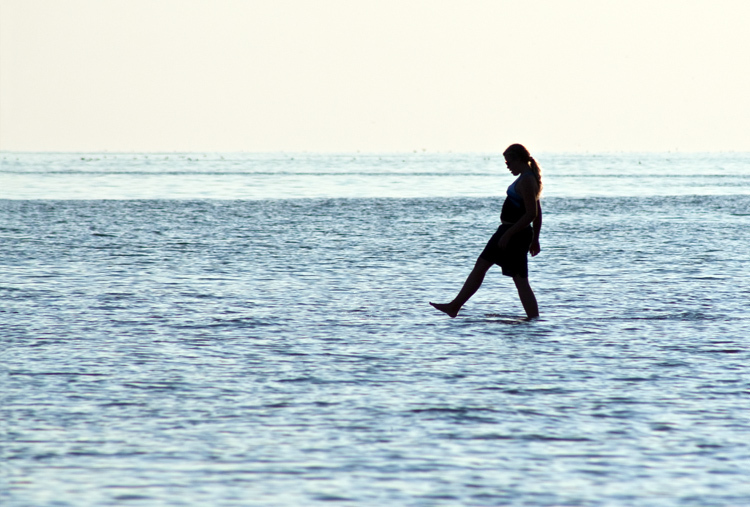 In the story of Jesus walking on the water, we see a bold Peter step out on to the water to meet his Lord. How boldly he put his feet out on that water, how boldly he took his first few steps of faith. Yet, as he began to look at the environment around him, things started to change. The wind was fierce, the waves were tall and crashing down around him, the lightning was flashing, and Peter’s bold faith began to melt away into fear. The more he feared, the more and more he began to sink down into the water. 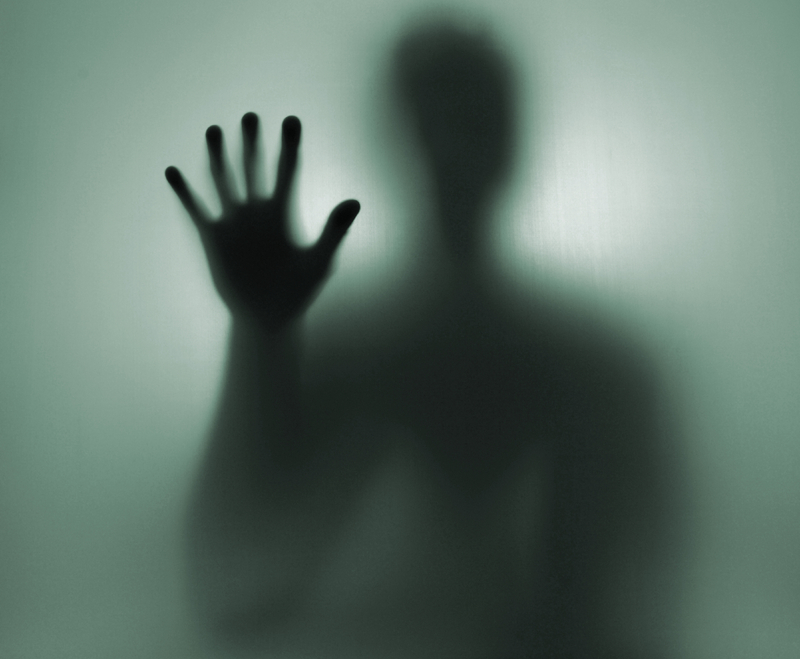 How many of us live our daily lives in fear? How many of us go day to day fearing this or fearing that…holding back from doing things that we know we should be doing. How many of us, in the end, feel as if our entire purpose in life is sinking beneath the treacherous waves of our fear? We often mask our fears by justifying them in away that makes us feel better; however, the reality is that we find ourselves in paralysis, we find our lives have stagnated, because we simply have not let go of our fears. Like he did with me and with Peter, Christ is reaching down to you right now. He is reaching out his hand waiting for you to clasp it. He is waiting to pull you up out of your fears and into the boldness of your faith. It was a leap of faith for me to finally say “yes” to God’s call and enter into a life of ministry, uncertain of where God will lead me. It was a leap fo faith for Peter to move beyond his fears to clasp Christ’s hand and be pulled back up to the surface of the waters. God is calling you, the reader, as well! What is it that God is calling you to do? What purpose has God given you? And, most importantly, what is stopping you from doing it? God is calling you to move from fear to faith, from hopelessness to a world of hope and wonder! All you need to do is put your trust in God and take that first step forward. God has revealed, and will continue to reveal to you what your purpose is; however, you have to have move forward in faith before you will ever begin to live into it. Move from fear to faith and begin to TRULY LIVE. Lord, I believe. Help my unbelief. Help me to move from fear to faith so that I may fulfill your purpose for me. Amen. Anyone who has ever had me as their teacher in confirmation class can attest to the fact that I take confirmation very seriously. I have developed a curriculum that goes beyond teaching the meaning of membership to a curriculum that instructs the students to engage in Christian History from Jesus to our current day and age. The curriculum has the students actively engage theology and doctrine (and the history behind the formation of the doctrines) as well as learn about the meaning of membership in the church. One of the exercises I have the students do as a requirement for the class is to write a 3 page paper, or longer if they desire, answering two very simple, and very Biblical questions. In Mark 8:27-30, in Matthew 16:13-20, and in Luke 9:18-21, Jesus asks his disciples who people say that he is and, following their various answers, he asks them who they say that he is. So, likewise, I have the students answer those two questions. It is amazing how challenging such an exercise is. Most of us can easily and quickly come up with a long list of the things that people say Jesus is; however, when it comes to who we say Jesus is, if we are going to take the exercise seriously, it becomes much more difficult to articulate. But each of my students have been through the exercise and each have come away saying that the experience of it was rewarding, leaving them with a richer sense of who Jesus is to them. When God created humanity, God did not create robots. It was not God’s intention to have an android creation that just mindlessly, and robotically, did whatever God wanted them to do. Rather, God created a free-willed, free-spirited, and free-thinking people who had the ability to not only choose to be in a relationship with God and, in that relationship, seek to come to an understanding of God and of self in the context of that relationship. As human beings, we do not only define ourselves by our own thoughts of who we are, but rather we define ourselves by the relationships we have with ourselves and with others. Who am I without my mom, my sister, my friends, my wife, my children, and myself? Thus, if we are Christians who claim to be in a relationship with God and with Jesus the Christ, then doesn’t it make sense that we would seek out who Jesus is? Doesn’t it make sense that we would not just settle for who people say Jesus is, but that we would find out who Christ is to us? Doesn’t it makes sense that we would want to get to “know” the person we claim to love and to follow? Perhaps it wouldn’t hurt for you to write down Jesus’ two probing questions: “Who do people say that I am?” Who do you say that I am?” God is calling you to probe deep into your faith. It is never okay to just accept things at face value. God is calling you to move beyond what you’ve been taught into the realm of personal, experiential knowledge. Who is Christ for you? How have you experienced the power and the love of Christ in your life? How has Christ healed you, been present with you, changed you, and/or challenged you? Where does your story and the Gospel story intersect? God is calling you to truly discover who Jesus is and to deepen your faith in him. Such an invitation leads to transformation and conviction. Get to know your Lord and be convicted to bear his hope, healing and wholeness to world. Lord, take me deeper in my faith that I may more intimately know you and grow more and more like you. Amen.